“Sometimes I only have one meal per day. My body is now used to hunger,” muttered Ousmane Bah, 24, from Guinea. Unemployed and desperate, he left his home country in 2015, with a dream of a better life in Europe. But that was not to be. Two years later, Bah is trapped in Agadez, in northern Niger. He was not able to accomplish his original plan: to go to Europe. It’s no longer easy. Since 2016, soldiers have been posted throughout the desert and smugglers are jailed, in accordance with a new law that controls the movement of people. Worse still, Bah cannot return home. He is ashamed of going back there empty-handed. His is a story of frustration. 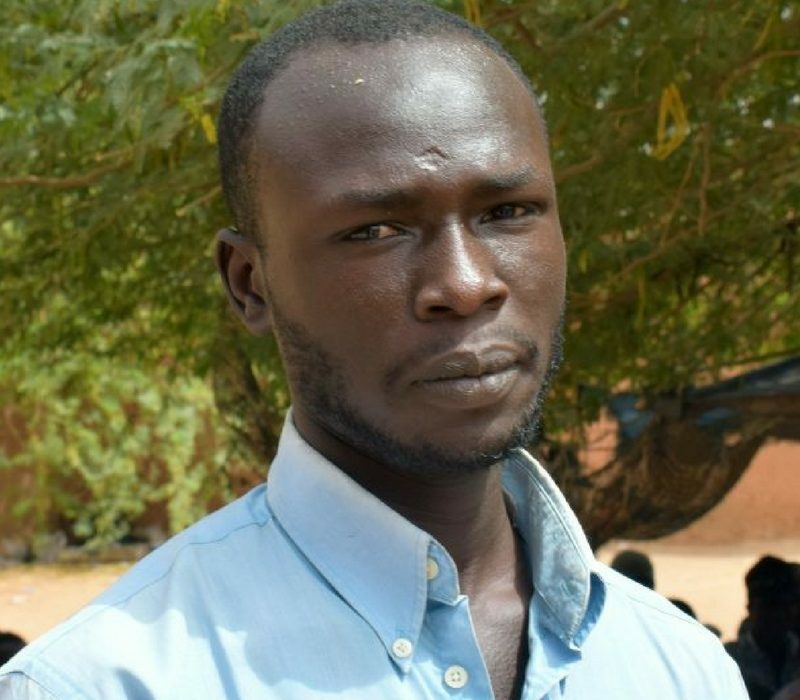 He, and thousands of migrants living in Agadez, found themselves on the wrong side of a new migration policy that defines migrant smuggling as a criminal activity. Niger has been a key transit point for migrants. It is against this backdrop that Francesco Rocca, the President of the International Federation of Red Cross and Red Crescent Societies (IFRC), travelled to Niger in late February 2018, to meet people like Bah and raise awareness of their plight. During this first trip to Africa as President of the IFRC, Rocca met some migrants in a “ghetto”—a generic name given to a group of houses rented by migrants, located in Tadres, where many young people from different nationalities live, in overcrowded conditions, without running water, electricity or adequate food. He listened to their stories, including that of Bah. Twice, with other fellow migrants—Bah explained—he was arrested by the army in the Madama desert. After several failed attempts to reach Europe through Morocco, he decided to temporarily settle in Agadez. For years, the latter, located in northern Niger, has served as a gateway for migrants to Europe through northern Africa. Thousands of young Africans, escaping poverty in search of a better life, have passed through the city. In their long and perilous journeys to Europe, an unknown number have died from hunger and thirst, abandoned by smugglers in the Sahara Desert, while thousands more have drowned in the Mediterranean Sea. Today, the city has a new face. There is little visible back and forth movements of smugglers’ cars carrying migrants. “Things have changed since August 2016 when the Niger government began implementing a law criminalizing the transport of migrants,” said Sadou Soloké, Governor of Agadez. As a result, the number of illegal migrants dropped by 80 per cent. If the smugglers have moved underground, Agadez still hosts thousands of migrants. “With the Economic Community of West African States (ECOWAS)’s protocol on the free movement of people and goods, they can live here in peace, on condition that they do not try to take irregular migration routes,” said Mohamed Anako, the President of the regional council of Agadez. With the tightening of security measures, thousands of migrants remain stranded in Agadez, unable to proceed to the north or return home. “These measures will force people to take even greater risks or take even more dangerous routes. They are cruel and counterproductive,” says Rocca, IFRC President. Indeed, despite his unsuccessful attempts, Bah is not discouraged. “I am ready to try again,” he says. Thousands of migrants like him, are equally determined to achieve their dream in search of opportunities in Europe. In their “ghetto,” as a way of distracting themselves from their suffering, Bah and his fellow migrants play chequerboard, almost throughout the day. They are living in harsh conditions. The Red Cross has been responding to some of the urgent needs of these migrants and host communities, by providing services such healthcare through mobile clinics, sensitization on the risks associated with their journeys in the desert, psychosocial support, income generating activities and family reunification.